Bounce! Don’t Break…Stories, reflections & words of encouragement through times of change. When life leaves you feeling like you’ve been T-boned by an eighteen wheeler, reach for Bounce! Don’t Break … and unearth the tools needed to get you back on your feet and moving forward again. Discover 5 Specific – Actionable – Right Now Tactics! to begin bouncing back quicker from set-backs. Learn how to shift your focus from problems to solutions. Begin turning defeat into victory! Woven together with the author’s personal life-lessons and reflections are the real-life experiences of other women who, through the healing power of faith and hope, have emerged stronger and more authentic through the unexpected, unwanted changes of life. Little White Squirrel is having a hard time. With all his heart, he wants to jump like other squirrels but nearly every attempt ends in failure and unkind laughter. If only there were a place where every slip, slide and fall would not be noticed. Join Little White Squirrel and his loving, creative father as they discover a secret in the forest and a special place to practice. Inspired by the daily challenges and victories of the author’s autistic granddaughter, the story of Little White Squirrel and his struggles is written to encourage every child and parent who must work a little harder for success. This story is a favorite with educators, media specialists, therapists and social workers throughout the USA. 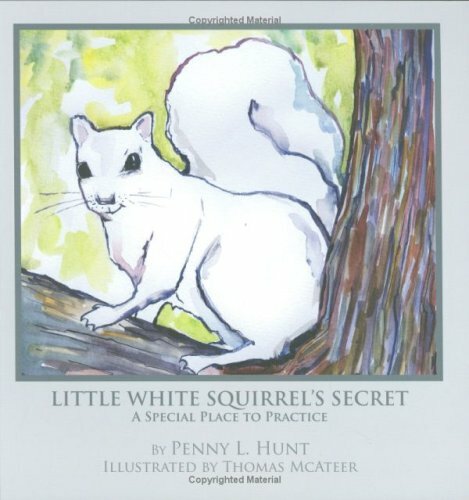 An entertaining, educational, interactive program featuring Little White Squirrel’s Secret – A Special Place to Practice. Guaranteed to encourage both adults and children of all ages with a “Yes-You-Can” message of compassion and hope. Available in Hardcover, Paperback, Kindle & Audible. 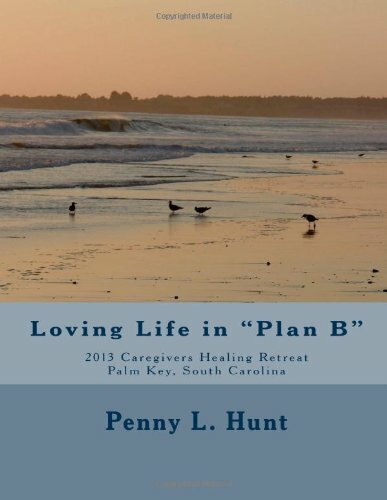 NOTE: Loving Life in Plan B is an EXAMPLE of workbooks available to you and your organization for keynote speeches, break-out sessions and workshops. Every workbook is customized to meet the specific needs of your group, event or theme, and written to coincide with the thoughts and ideas shared by the author speaking at your event. All of Penny L. Hunt’s customized workbooks bring added value to any event, offering participants a hands-on tool that becomes a treasured take-away. Loving Life in Plan B was created for a military wives event to say thanks to the participants for all they do, and encourage them through the many changes and challenges of life. This particular workbook is a tool to help participants develop and maintain balance, bounce back from set-backs, and build resiliency in their lives and the lives of their family.